Paul is a retired police Lieutenant from the City of Lake Worth Police Department (FL) and served the department in a variety of administrative and leadership positions during his career. 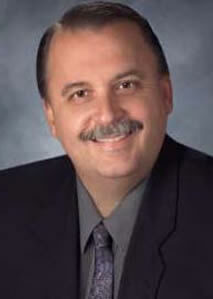 Since 1985 Paul has been the owner and President of Police Career and Promotion Services, LLC (www.PolicePromotion.com and www.Police Career.com), specializing in law enforcement employment and promotional testing, group test preparation, and career counseling. Police Career and Promotion Services, LLC is part of a strategic alliance with L.J. Craig & Associates, Inc., to co-design and administer written examinations, assessment center processes and other testing methodologies and other testing methodologies. Paul has over 27 years of law enforcement experience in southeast Florida, from 1975 – 2003,retiring as a Lieutenant with the Lake Worth Police Department in Palm Beach County. His law enforcement experience includes 17 years as a department commander, Police Firearms and Academy Instructor, Training Supervisor, Patrol Commander, SWAT Commander, Criminal Investigations Commander, Acting Chief of Police, Acting Deputy Chief of Police, and many other departmental enforcement and management assignments. Paul worked for many years (1984 – 1989) as the police department’s supervisor and manager in charge of Personnel, responsible for testing, interviewing, investigating and hiring new officers. During this time Paul revamped and streamlined the hiring process and created a validated police department entry exam, a new structured panel interview process with content-valid questions, and a new polices and procedures manual for Personnel and Training. He also helped to write and was in charge of developing and implementing a new policy and procedures manual for the agency. Paul holds a B.A. In Criminal Justice, from Florida Atlantic University and is also a graduate of the 10-week Command Officer’s Development Course, University of Louisville, KY.
His main career highlights encompassed serving as an Enforcement Officer, Supervisor and Commander, 1975 – 2003. Paul is also a three-time published mystery novelist, and has published numerous magazine articles and special features in the law enforcement field.